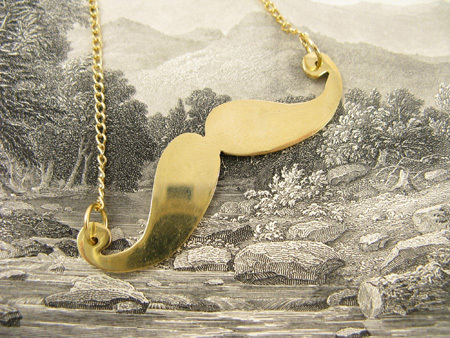 After visiting a couple of the craft bazaars around Portland this season, I have to say that this year’s design meme prize goes to The Mustache. Mustaches everywhere. On pencils, on t-shirts, on jewelry. Cephalopods came in at a close second but the mustache rules. 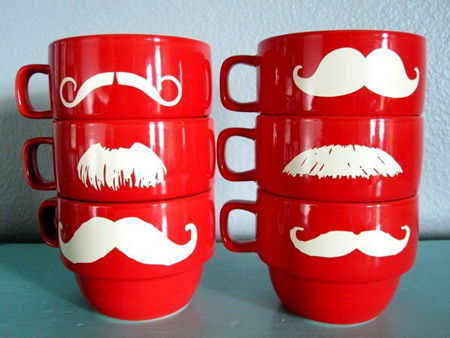 Mustache cups! I actually think these are pretty cool. 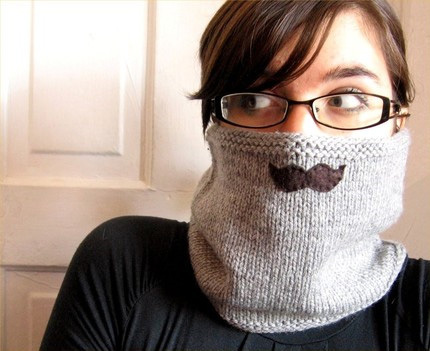 Knitted mustache cowl. Still adorable. 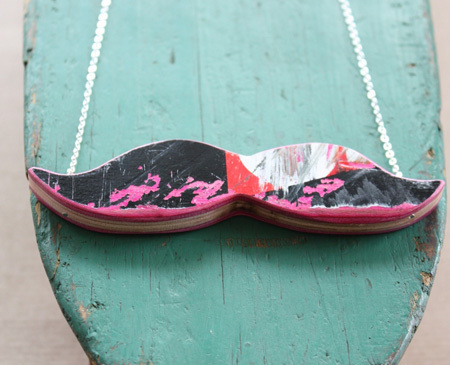 The necklace made from… Yes: Recycled skateboards. 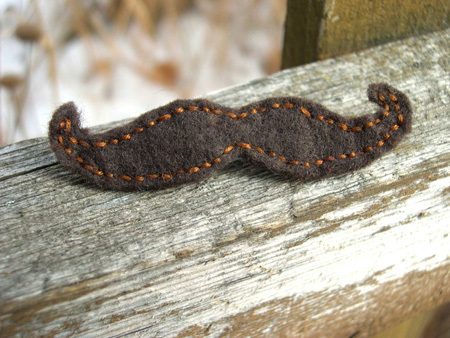 Here’s a felt mustache for your plushie! Don’t you buy gifts for your favorite plushy? No? … Hello? 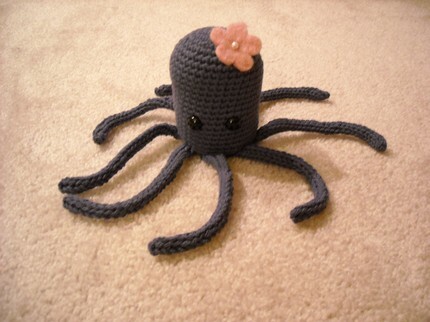 This octopus came up in my mustache search. Go figure. This entry was posted on Monday, December 14th, 2009 at 11:20 pm	and is filed under Misc ramblings, Other crafts. You can follow any responses to this entry through the RSS 2.0 feed. You can leave a response, or trackback from your own site. are you selling the silver ring and gold necklace? I’ve been looking EVERYWHERE for those but i can’t seem to find any. Let me know as soon as possible please! And the prices in case you ARE selling them, I’d really appreciate that. Thanks so much and you have awesome products! 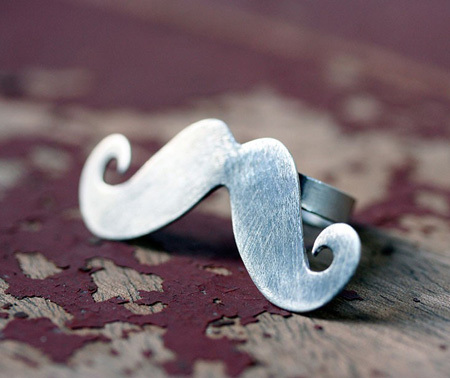 Hi Pia — I’m not but do a search on etsy.com for “silver mustache necklace” and “silver mustache ring” and you will hit the jackpot! Hello there. I noticed your site title, “the mustache Gin and Butterflies” doesn’t really reflect the content of your web-site. When writing your site title, do you believe it’s best to write it for SEO or for your readers? This is one thing I’ve been struggling with mainly because I want good search rankings but at the same time I want the best quality for my website visitors.